It’s my blogging anniversary! Five years ago I decided to begin writing my own blog, and I am still here, with more to say, LOL!! From the beginning, I wanted my blog to be a bit different. I wanted to do posts on all the things I am interested in, not just a single subject, after all, we are multi-faceted beings with lots of interests. Everyone knows that quilters are often great cooks, stampers like to garden, readers like to sew, and many do other crafts as well. I also wanted it to be more than just a diary of what I was working on. My first posts were updated articles I had written for sewing newsletters, and those ideas still hold up today. I’ve come a long way since then, with pictures and my writing, I think. 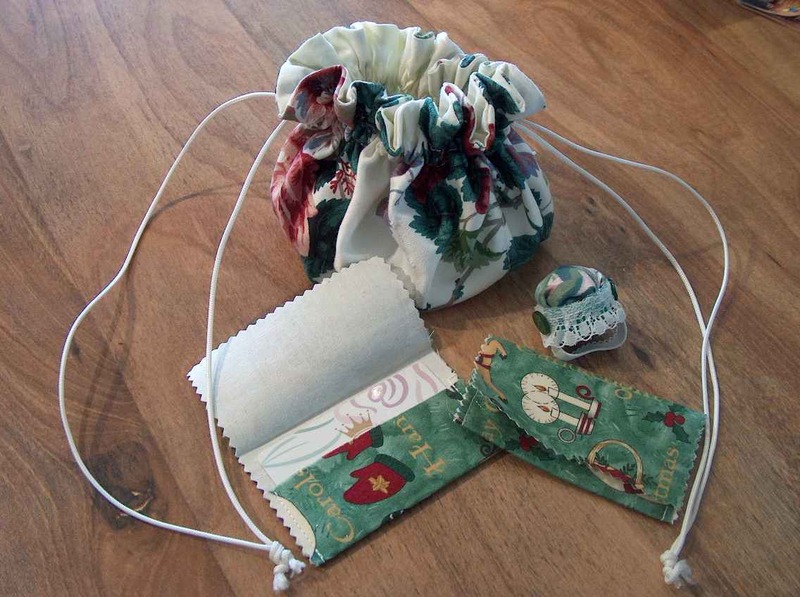 For some fun ways to use up your scraps of all kinds of fabrics, see my first post, The Scrap Basket. Later came an article on Sewing Machine history, another one based on a previous article done for another newsletter, but expanded for my blog. I used my collection of antique machines as illustrations. I was the kid in school that used to get excited when a research paper was assigned, LOL, while everyone else was groaning. Over the years, I have done more charity work, as I transitioned from a working life to one of being retired. It is difficult to say no to anyone that needs help. Beginning with Project Linus, Cancer Care and Elizabeth House, adding Quilts of Valor, and then I moved to doing more short term projects like the quilts for the California Fire victims. I adopted the local domestic violence shelter two years ago for ongoing support with the Safelight Project. That gives me an outlet for little gifts and handmade cards through the year, along with the larger bag project I do with a huge amount of reader help each summer. 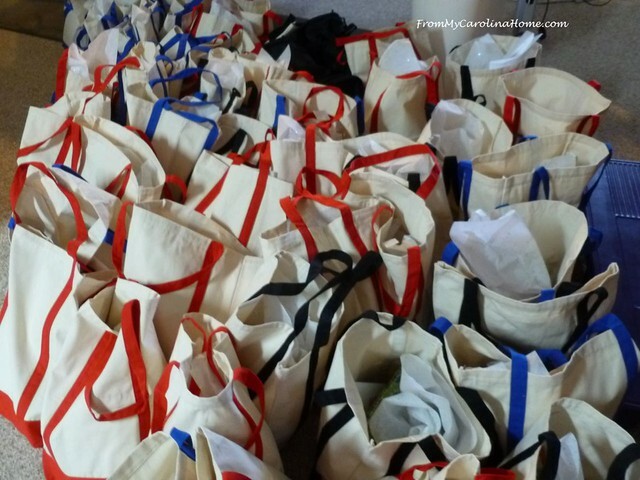 I plan to do this again soon, as they ran out of bags and I’ll be delivering 15 more from the last of the funds available next week. The Carolina Hurricane Quilt Project is by far the most challenging project I have ever taken on. Getting drop sites, runners, other organizations involved and national publicity has taken a huge amount of time and effort. But, the outpouring of support has been amazing, and more quilts arrive every week in Wilmington. I am still looking for more longarm volunteers if you are able to help. If you are a longarm quilter willing to quilt, bind and ship to Wilmington 0r dr0p off at an NC drop point, (and I desperately need more!!) please fill out the Longarm Volunteer Form. The project will go through summer 2019, so you have time to make a quilt and send one. Gardening is a big part of my outdoor fun, I love the full and lush look of the veranda when all the pots are green and flowering. Early on, I wanted this blog to be full tutorials, showing the steps to doing the projects. I’ve often been asked how I do all these things I blog about. The answer is I take days to do a project, and I take pictures of the process the whole way. I’ll have five or six blog posts going at once, like working on a quilt while paint dries on a craft project and a new meal is in the slow cooker. Ideally, I like to have a quilt on the longarm, one in the piecing stage, and one in the hand binding finishing stage all at once, so I can move from one project to another in the same day. When a project is finished, I begin writing and then schedule the post to publish at the next available day. I publish mostly four posts a week, as I don’t think anyone wants to hear from me every day and it gives me a balance between blogging and creating. I enjoy doing all kinds of crafty and sewing things. I like to paint, stamp, embroider, and play with my glue gun. I still have paper-making on the list of things to try, and didn’t get to it while it was warm outside. I have made some wonderful friends through blogging, some in other states that I will likely never meet in person. I have been lucky to meet a couple, one I plan to meet in the fall, and another I am hoping to get here for a speaker program. But, I have been surprised at the number of bloggers that stop writing after a few years. Some really interesting bloggers that I followed from some years ago are no longer writing at all. I get that, sometimes I hit a wall too, but usually a short break gets me back in the swing. I truly believe that not confining my blog to just one subject has helped a lot. When I cannot get excited about any sewing project, I can go stamp or plant a new pot or create a new tablescape, and I have something to talk about. It is rejuvenating to change up what I am doing. In the meantime, Scrap Dance Tango and the original Scrap Dance are both still available on Craftsy. The rest of the Scrap Dance series is on Etsy for now, click on Quickstep, Waltz, Swing Bag, Two-Step and Square Dance for those patterns. The fees on Etsy are pretty high, so I do not know if I’ll stick with that long term or not. It is also expensive to have a shop on the blog, so I really don’t know what I’ll ultimately decide. But for now, these are available. Those sales do help with the costs of the blog. So there will be more recipes to come, more quilts to make, more tablescapes to enjoy, more holidays to celebrate, more crafts to do, more cards to stamp, more wreaths to make, more projects to sew, more plants to grow, more books to review, more travel to see, more car club events to drive, and more of all the things that make me smile. Tell your friends, come along for the next five years! Thank you so much for reading my blog, and all your lovely comments!! Congratulations! I have enjoyed the variety on your blog. Thank you for sharing. Happy 5 years for you, and for us, reading you ! Lots of interesting ideas, recipes, and lovely outdoor fotos, keep it up ! Looking forward to your next quilt idea ! Five years? Wow!! And congratulations! As you know, I am very new to your blog and I love the fact that you have so many interests and that you share them with your followers. I will have reading material for a while and pictures to oh and ah. You are also a very sweet lady and wish you many more years of blogging, God bless you and your many endeavors Carole. Hugs. Hooray and hats off to you for reaching this significant milestone!! Since finding your site about 6 months ago, I have renewed my interest in card-making, enjoyed some quick sewing projects, baked some lovely orange bread, sewed blocks for NC Hurricane project and learned something from every post. Thank you SO much for no pop-up ads and flashing stuff that is so annoying and discouraging. Keep up the good work, in good health and happiness! Just love your blog and your friendly, affirming attitude. Happy 5 years to you, and thanks for sharing how you do all of what you do. Looking forward to more of your posts! Happy bloggiversary! I’ve enjoyed reading and look forward to what comes next. 💐🎂 Happy Blogiversary to you Carole! Hi Carole….I just wanted to let you know that I shipped off a quilt to the Catholic Charities address you provided this week. I am touched by the need for these folks in our country and wanted to help. The quilt is pink and blue flannel front with a light blue back and white binding and is a large twin size. The quilt was made years ago and has been awaiting a “tug at my heart” for donation and this was it! Thank you for providing the opportunity to help our neighbors. P.S. I have no means to post a picture so I (unfortunately) could not do that as requested. Your blog was among the first that I found upon retirement when I entered this blogging world. Your variety of subjects, charity work, clear photos and concise writing are appreciated. Congratulations on your blogging anniversary. I wish you many more years of enjoyment in this endeavor. Happy anniversary, Carole. 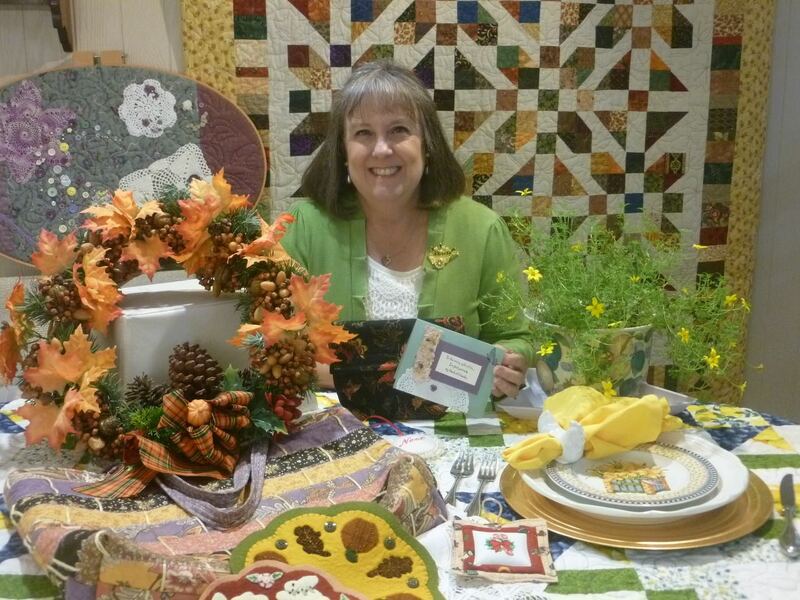 I have enjoyed seeing all your projects, quilts, tablescapes and more these years. And also your charity projects. I am looking forward to seeing what you will accomplish in the future. Thanks for sharing all that you do. Always inspiring. Thank you. Have enjoyed your all round blog for several months. I even love the landscape pictures. Keep up the good work. Blessings, J.
I just started following you and truly enjoy your blog! I’m so glad you’ll be around for a while! Your versatility is refreshing as well as interesting. I look forward to each blog. Thanks for sharing! Happy Anniversary Carole! I certainly enjoy reading your posts and look forward to seeing what new creative ventures you have to share! Your photography is awesome! Happy Anniversary and congratulations on creating a well-rounded creative life! You bring a world of like minded creative friends to your “door” and we all benefit from learning about and participating in your interests and pursuits. Wishing you continued blogging blessings! Happy Anniversary and Congratulations. It just happens that today is my birthday.. and your blog truly is a gift. Thank you for all you do. Happy five year anniversary, Carole! That is an amazing accomplishment. I have so enjoyed your blog, and I’m glad you plan to continue. I just wanted to mention that I made your Triple Corn Spoon Bread for my family and it was wonderful. I’ll make it again as it is perfect with chili. Also, you inspired me to tackle one of my old quilts that needed a repair similar to the one you recently featured, a hole on both sides of the quilt. Luckily, I had made an extra block, which I still had after 30 years. It will stick out like a sore thumb since it’s not faded from washing, but at least the quilt will look better. and I will continue to use it. Cheers! Congratulations Carole, Your blog is one of my favorite blogs because you offer so many facets of your very distinct creativity and style. I admire you very much. I wish I had more time, and I am trying to fit in more of the things that make me happy. Your ideas are always fun and inspiring. Happy blogaversary! It has been such fun to be a follower over the years. Happy Anniversary! Such an interesting blog today to read your history. Thanks for the entertainment, it is educational and a pleasure to read because it is so well written. Thanks! Happy blog anniversary! I always enjoy reading your blog. Here’s to many more years! Congratulations on your 5 yr Anniversary! I’ve been a reader for just about 6 months, but love all that you share. I like the variety of your posts. Thanks for sharing! I am so happy I found your blog a couple of years ago. 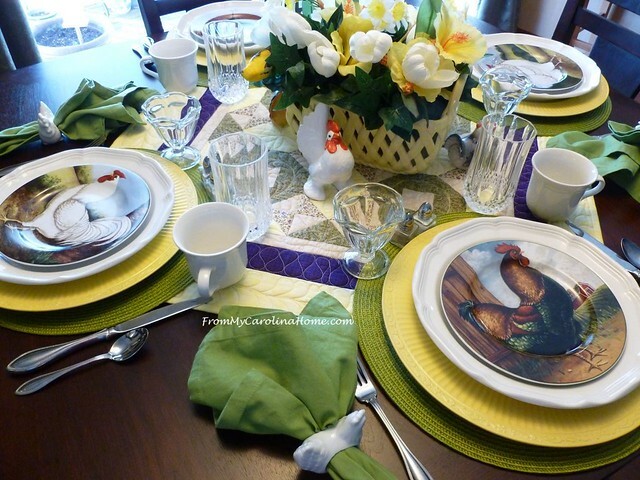 I love looking at your tablescapes, trying your recipes and I really like Autumn Jubilee! I’m not into scrap booking, but your gardening posts are right down my alley. Your sweet answers to comments are a treasure, although sometimes when someone asks you a question, I’d like to know the answer, too!! Curious minds, etc. Here’s to many more years of blogging!!!! Happy Blogaversary! I love your variety of sharing and thank you for doing so. Congratulations on 5 years of blogging. From a reader’s perspective, I enjoy blogs that do not focus on just one thing, but that show variety. As you say, we are all multi-faceted. I hope you keep blogging, and enjoying it, for a long time to come. Happy Blogiversary! I just passed 12 years of blogging. It’s not only my own method of documentation but it keeps me motivated and introduced me to some wonderful new friends. I love reading your blog and am glad you joined the blog world. Congratulations on five years of this wonderful blog! I have been enjoying the ride with you. It is nice to see the nature photos and your quilting and charity instructions are great. I even won a plant, which is doing fine just waiting for spring to transplant into a larger pot. Here is to many more years! Congratulations, so glad you are here for all of us . Congratulations and Thank you, Carole! I have enjoyed reading along and learning some tips as well. I’m now actually cooking a bit. Ha! How did that happen? My 10th blogging anniversary comes up this March but I have only blogged to let other bloggers know who I am. I wanted to avoid being anonymous. I use it mostly just to blog about the quilts I’m making and show pictures of my sweet animals. I have met a few readers and enjoy the connection. Congratulations on 5 years of blogging! Yes lots of bloggers I followed no longer blog and that’s sad! 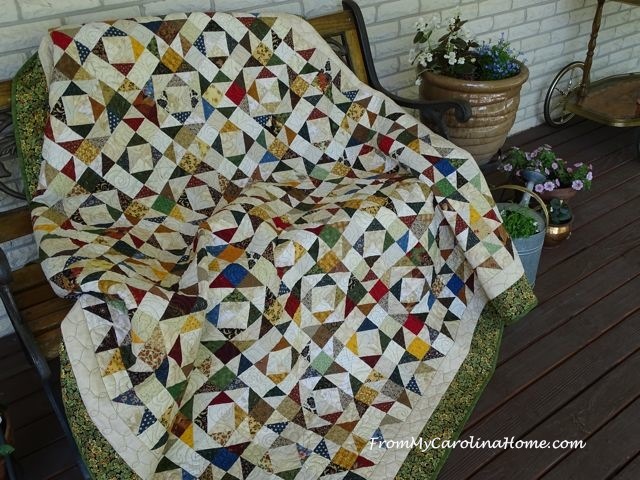 My favorite blogs of yours are when you show quilt repairs!!! I am always amazed by how you repair them! Hopefully I will never need your services! I do enjoy reading about all the different topics you post about! It keeps it interesting! Congrats on 5 years! Keep up the good work. I really enjoy reading about all of your hobbies/activities, even the ones I personally have no desire to add to my life. :>) Thank you for your entertaining and educational blog. Congratulations Carole! So happy to hear that you plan to continue your blog! Happy 5 year anniversary. Whether is be quilting, recipes, photos or what ever you want to show us for the day, I look forward to reading it. Thank you for your hard work you do on the blog and keeping us informed and motivated. Adding my two cents to everyone’s sentiments here… big Happy Anniversary Carole and thanks for all your positive and enjoyable contributions to the blogisphere. Always happy to see a new post pop up here from you! Take care, and here is to many more happy, creative years of blogging for you and us!! Yes happy anniversary friend! You’re creativity always inspires me! 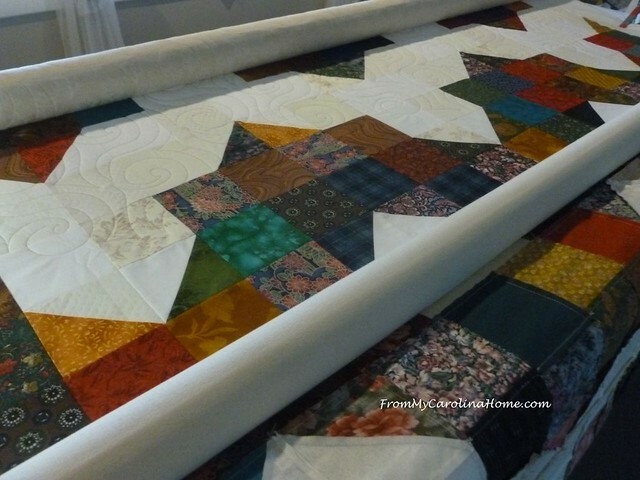 I, like you, also like to have a quilt being pieced, one on the frame and another in the binding phase. So glad we have continued to blog and share and inspire. 🙂 🙂 I love it and am so glad we met. I really enjoy your blog, thanks for the inspiration! Happy blogiversary! I agree that writing on a variety of topics help keep things lively and interesting, not only for the blogger, but also for the reader. Congratulations!! I love the variety you share in your blog posts. They are always interesting and never too long. There are always so many things to do, but a little break to read your blog always refreshes me. My favorites are ones about quilting and plants and the pictures you share about wildlife out your door, but that is because those are my special interests also. I have discovered new interests, though, because of what you share. Even though it is only me now I look at my table and think maybe I should do more to make it look pretty. I don’t travel so I enjoy your pictures of places you go, whether overseas or with your car club. Please keep doing what you’re doing. You do it so well!! Congrats on writing for five years!! It is a commitment and you provide great information to so many people. Good job Carole!!! Congratulations! I enjoy the different topics even though I won’t do some of them myself. Many happy returns! Congratulations! I always enjoy the variety of your posts, and I also love doing the majority of your activities. Thanks for all you do! Happy Blogiversary! I so enjoy blogging and reading blogs. When one stops blogging, it is like losing a friend and even worse you have no way of knowing what happened. I still have a way to go until retirement but am preparing by improving my quilts. I hope to be able to volunteer or donate my creations as you do. It is delight that you share your life and creations. Thank you. Congrats on five years! And thank you for sharing your talents, and also for no flashing ads and pop ups or whatever it is that comes up and covers what I want to see. Very annoying. And they seem to make my computer wheeze! I sometimes click right out of blogs that I follow, just because of those types of ads. Congratulations. Keeping a blog going with interesting photos and words means putting your own heart into each post. You vary each one, and I always so enjoy the seasons in your garden, the tables, the quilts in progress, and the quilt alongs. I am sure 2019 will mean we see more goodies. What a wonderful post. 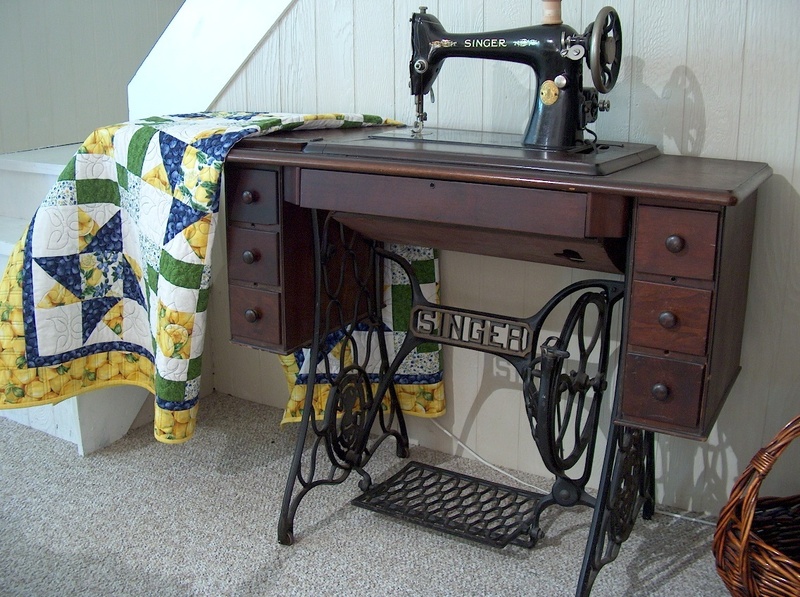 That antique sewing machine is breathtaking…love it! Congrats on making 5 years and I love all your blog posts. I’m so glad you joined 5 years ago so that I could know you. Hello Carole, Congratulations on Five Years of Fantastic Blogging!!! I have no doubt that you will make it another 5, as long as that is what you want. You know that I have been with you almost from the start and have enjoyed every post, every project and have learned so much from you. Thank You for all that you do for the community you live in, for the charity adventures you help with, for creating a better place in this world for all of us! Have a spectacular day celebrating! Congrats, Carole! I’m still reading and enjoying your blog. Lots of creativity during your five years! Congratulations on the blog, and all your accomplishments. You don’t let any grass grow under your feet! I always enjoy reading and looking at all your wonderful photos! I hope you can continue and I really appreciate all the work you put into your blog! Congratulations on the “blogaversary!” Your posts are always interesting and your photos are awesome! Congratulations, enjoyed visiting your blog over the years, and seeing your square dance quilts. Looking forward to more adventures. Congratulations! It’s a lot of work to keep putting out post after post after post…no wonder so many folks have eventually given up on blogging, so my special thanks to you for your dedication to those of us you will never actually meet in person – it is much appreciated! I’ve been following you about a year and truly look forward to your pretty, or informative, or crafty posts. I am blessed by your blog. I so appreciate your continuous blogging, bringing us readers into your exciting (yes, to me it is!) world of NC. I personally have only been reading regularly about a year or so, but your posts hooked me in and I so look forward to them! Your wildlife visitor pictures, flower pictures, project pictures, travel pictures, are superb! You give us details that allow us to follow along as if we were there, or in project making, to complete without frustration! You are “down to earth” and real. Your generous spirit and caring shows in the regular contributions you give to others in so many forms. Congratulations on blogging for five years! That’s marvelous. 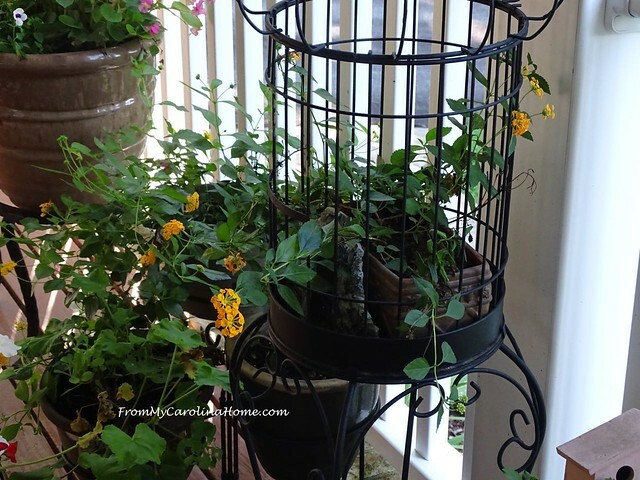 Congratulations on your blog anniversary, Carole! I’m glad to have found your blog, and really enjoy all your posts.You always inspire me with how much you give with your crafting. I also hope to do a Scrap Dance mystery on of these days – maybe this will be the year! Wow, I had no idea how broad your interests are! You keep quite busy, I am not sure how you keep up with it all, and obviously you have been quite successful at your blog! Look at all of these comments! Congratulations! Happy Blog-a-versary!! I indicated that I would help with quilting for the Carolina Hurricane Quilt Project. Have just filled out the intent form. Continue doing SEW many great things, Carole! Help you with quilt drop-off, but would need more information. Re: the requirements. I was unable to sign in to view the longarm Application. I live next door to Pinehurst and Southern Pines, NC. Happy five years Carole, you are definitely multi-talented! Wishing you many more years blogging! So happy to know you’ll be around awhile to blog, stamp, plant, sew, design, create, cook, share and chat. It’s what makes your blog always interesting and fun! Congratulations on your anniversary! I really enjoy your posts and want to thank you for your charity involvement. I love the opportunities you provide. I recently sent a finished quilt for Hurricane Relief and am so happy that I could participate in a meaningful way. Celebrate your anniversary! 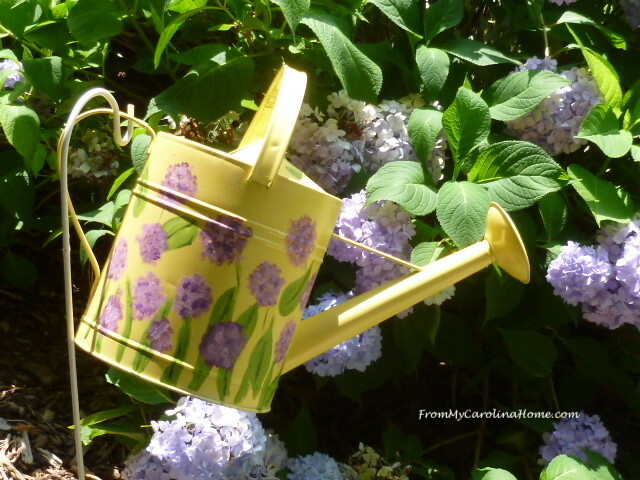 Congratulations, Carole for your wonderful blog that is always a pleasure to read, no matter what the subject is. Thank you, and I’m looking forward to continuing on this journey right here with you. Congrats Carole! It is amazing the circle of friends we develop from blogging, I have 2 blogger friends coming for lunch today! And I totally agree, a variety of subjects keeps our creative minds fed and happy! I wish you a happy healthy next 5 years! Congratulations on your 5 year anniversary! I have only recently found your blog but I certainly enjoy reading it. May your blog continue for many more years! Happy Anniversary Carole! I have so enjoyed your many postings on various topics-you are quite talented and creative and generous! Thanks for letting your online friends participate from afar in your many charitable activities. I am working on a top now for the Hurricane project. Looking forward to more inspiration and fun from you! THANKS! Happy Blogiversary, Carole! May you have many more. I found you as the first Scrap Dance was starting. Congratulations. Many more years to come. I enjoy your blogs. Especially the winter scenes. It makes it a fraction cooler to see tall the snow it. Very hot here in Queensland Australia. may God bless you. And keep on blogging. Congratulations – Carole!!! Great job – it is fascinating to see the various aspects of your life. I applaud your generosity. Your projects are fantastic!! I love them!! Congratulations. We all do have a lot we enjoy and I think it is delightful that we are able to share our interests. I am ready for your next five years. Thank you for continuing to blog. I enjoy catching up on all your different interests. Here’s to the next five years and many more. Here’s to the next five years, Carole. Congratulations!